Last week so generously showed us the interior of an Imperial outpost as well as some basic Stormtrooper training, which clearly stretched the show's budget with more than a few visual shortcuts to tell the story. 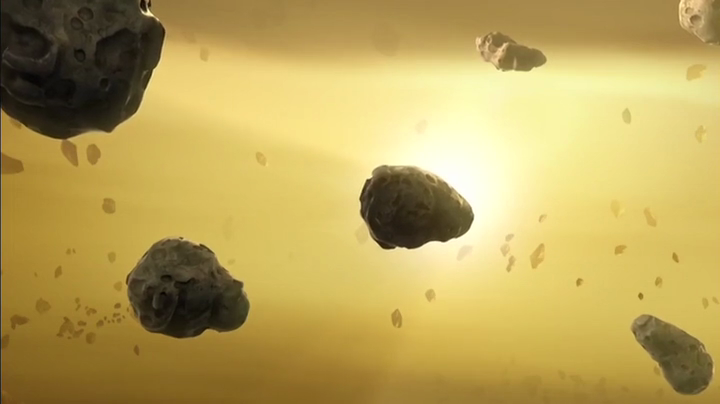 This week's installment reels it all in a bit and is all the more compelling for it. While you do get some fantastic action sequences, the episode is really about the dangerous of being what amounts to a space terrorist - who knows what, and why, helps keep you alive. We've seen glimpses of this elsewhere, particularly in the Bajoran struggle against the Cardassians in Deep Space Nine, but in Star Wars we rarely get to see the more grim realities of the fight. The good guys win, the bad guys lose, and very rarely does anyone need to be too concerned about how things shake out. While the Clone Troopers basically acted like highly-competent 10-year-olds with their beliefs in brotherhood and success in their missions, the crew of the Ghost has to be a bit more pragmatic about what they do and why. There aren't an unlimited supply of replacements. Part of what makes this episode really fun is how we get a gender role reversal, which is in and of itself borrowing liberally from old television. 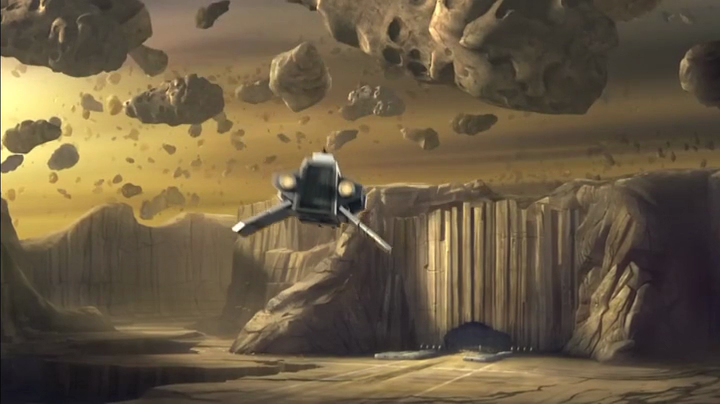 Kanan in stuck watching the bickering kids, with Chopper, Zeb, and Ezra proving that they should probably be dumped off on the next asteroid with an atmosphere. After a brief run-in with a trio of TIE Fighters, Hera asks them to check the Phantom for problems. It has many, but while the diagnostics show actual problems with the craft's spaceworthiness, Zeb and Chopper thing it's a lot more fun to screw with Ezra instead. Obviously we need something to generate conflict to drive the plot, but it sort of hurts to sit through speeches about how everyone needs to trust one another and you've got a handful of really crappy crew members defending your life. 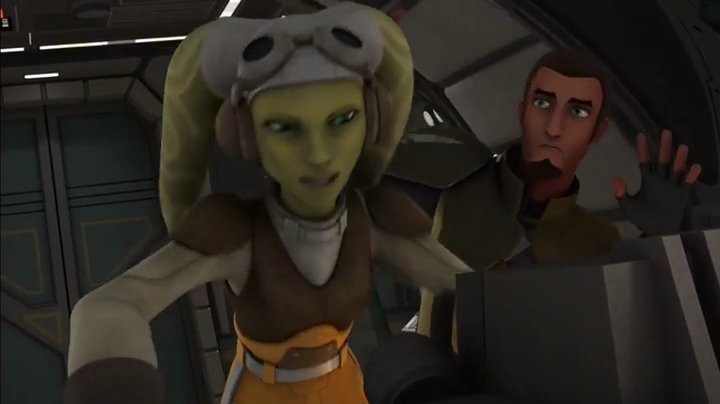 Hera's the show's real hero so far, with a cool head and unwaveringly competent set of skills that surprisingly don't put her at odds with the crew more often. She knows how many beans is five. She knows where her towel is. And she knows Fulcrum, a mystery informant whose distorted speech patterns given by an unknown actor who isn't even in the credits. He helps give them jobs and supplies to attack the Empire, and is presumably in communication with other terrorist cells doing hit-and-run missions against Palpatine's forces. What these are, we don't know - the show's truncated runtime means we're left with little more than watching them pick up supplies for their next job in an outpost that, Hera tells us, is vintage Clone Wars construction. 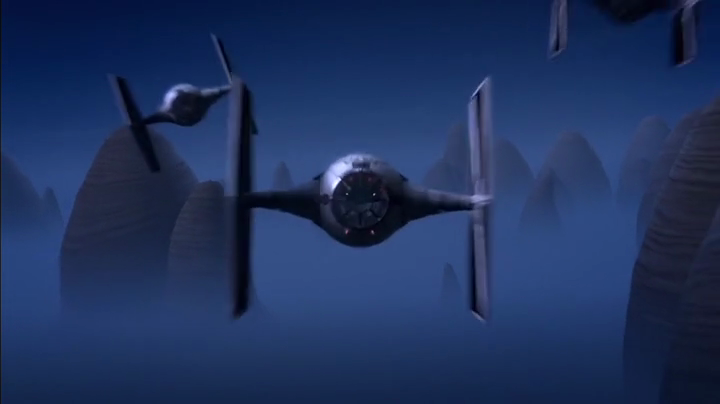 The carcasses of old Gunships and ARC fighters in Fort Anaxes are protected by a horde of fyrnocks. Fyrnocks look like some sort of nocturnal cat/roach hybrid with glowing eyes whose design will make you glad that you grew up in an era of cooler creatures and therefore better creature toys. The dewback, this ain't. The purple creatures could be out of pretty much any show but they're glimpsed at sparingly, never giving you a really clear look at them beyond their razor-sharp teeth and creepy glowing eyes. It's best to not think of them as a cool new being, but merely as means to build the tension between Hera and Sabine after they discover their shuttle is damaged and the local star is about to experience some asteroid-based weather. Night comes early and often, and the cats don't like bright light, or getting wet for at least an hour after eating, or not getting home before midnight. It wouldn't be Star Wars without making sure something is blowed up real good, and the purple space cats get shot, blown up, electrocuted, and upon the ship's inevitable escape shot some more. Merely escaping is insufficient - the crew gets in a few bonus parting shots as the Ghost magnetically picks up the Phantom and blasts off to safety and the comfort that is the status quo to the unfortunately hokey decision to place the beats of the opening crawl's fanfare over the rescue. When I watched Teenage Mutant Ninja Turtles back in the 1980s, and the theme started playing under the action, it came off as really corny after the first episode. Star Trek rarely did this in its many spin-offs. Batman kept it subtle. 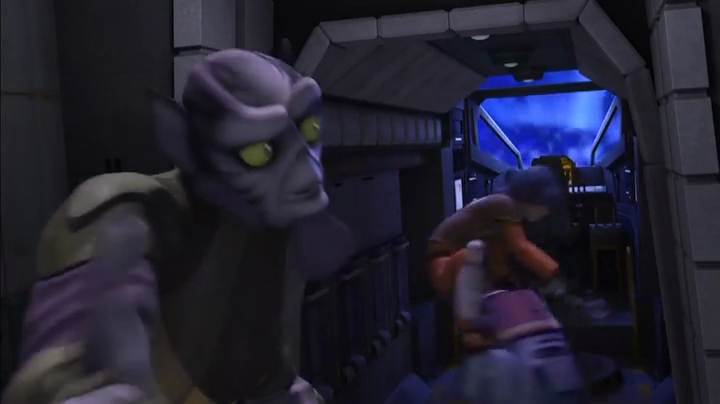 Even The Clone Wars was really conservative about its music choices, but Rebels has no problem sidling up to you in your couch, jabbing you with its elbow, and going "It's Star Wars. Remember? Remember this song? You liked this one, right? It's totally Star Wars you know." And then you roll your eyes, because everything else about the character looked and felt like a great action show. I can't say much about the music that I noticed and liked, but the voice talent continues to do wonderful work and the people doing the visuals all deserve pats on the back. I loved the rocks blotting out the sun, the base that looks like it was carved into the mountain, and the interaction between some of our heroes. The episode doesn't give you a lot to think about, but it does something rarely seen in Star Wars or Star Trek and it injects a little wonder and magic about the beauty - and terror - that exists out there beyond the stars. As you get older, magical moments like these are more fleeting than ever so be sure to check this one out if you haven't already. The ethics of Star Wars are quite different than other sci-fi franchises, might makes right here and nobody seems to have a problem shooting dumb animals well after victory has been assured. I dog on the cats, but they were appropriately creepy. They give you the feel you want in a situation like this. Why yes, that was a cameo by the character model of Maketh Tua from "Droids in Distress." I'm pretty sure Kanan has dropped the whole Jedi not knowing love thing. Next time: Grandma is an AT-AT. My brother is a Sith. I can tell it's "Empire Day" because that's what the episode ended with. See you in a week!